Water pipes in modern structures are usually made of one of three types: cross-linked polyethylene (Pex or PEX), copper or polybutylene (PB.) Each of these has properties that make it a good choice for home plumbing and each has its adherents. However, each also has negative properties and its detractors. It is helpful to compare the three when making the decision to install new or replacement piping in a structure. Polybutylene tubing was popular for its low cost of installation compared to copper. However, numerous class action lawsuits because of excessive failures led to the banning of PB for use in water lines in 1995. Plumbing can use various types of pipe. Used since the time of the pharaohs, copper piping is preferred by many, but not all, plumbers. Though generally resistant to corrosion, it is prone to pinhole leaks created by reactions to acidic chemicals in some waters. These holes can result in disastrous leakage and its concomitant water damage. 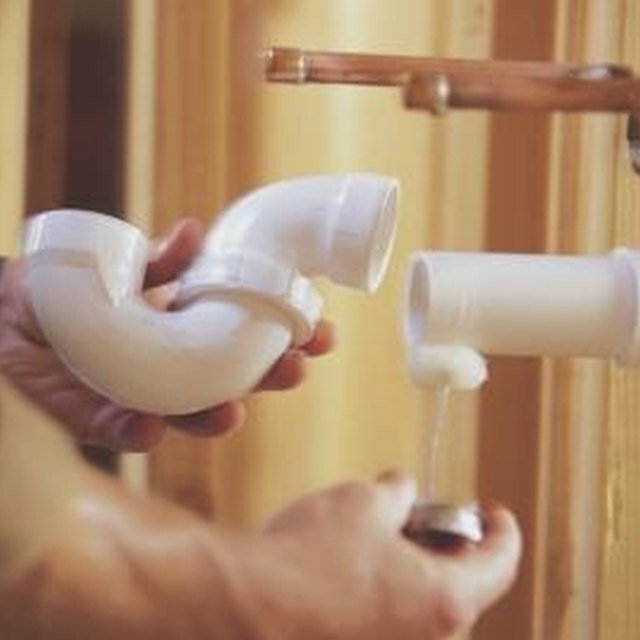 Polybutylene piping, manufactured from a form of plastic resin, was installed as water supply piping in many homes from the 1970s through the 1990s. PB had a lower bursting pressure relative to either copper or PEX and has been superseded by PEX piping as the most common material installed in modern structures. PEX is also less prone to reactions with chemicals in the water and retains its flexibility. Copper is also resistant to ultraviolet light so it can be used outside, while PEX will deteriorate in sunlight. While PEX is more flexible, it may also be more likely to crimp when curving around obstacles. This can inhibit the free flow of water. Copper does not have that problem since it is usually extended around obstacles with shaped connections such as elbow, tee and cross couplings. PB pipes were more flexible than copper but less flexible than PEX. It tended to become increasingly brittle with age, resulting in leakage. PEX is also more expandable than either copper or PB and resists the buildup of mineral deposits that can inhibit flow in copper piping. Copper inhibits the growth of bacterial and viral organisms in water systems. This may result in somewhat safer, better-tasting water, although water in corroded copper will have a metallic taste. However, since PEX resists buildup of mineral deposits, it also allows for high-quality drinking water. Both copper and PEX are heat and cold tolerant given normal household water temperatures. However PEX can expand somewhat when water freezes, making it more burst-resistant in the winter. Copper can withstand high heat, so water can still flow to quench flames in case of a fire. PEX water line pipe is less expensive than copper, both for initial installation and for repiping or repairs. PEX pipe and its fittings are available in home improvement stores, making it suitable for homeowner do-it-yourself projects. It has been tested and shown to hold up for many years. Copper is more expensive and the installation involves special tools and expertise, but its durability for water piping has been shown for thousands of years. Copper is also recyclable, while PEX is not.